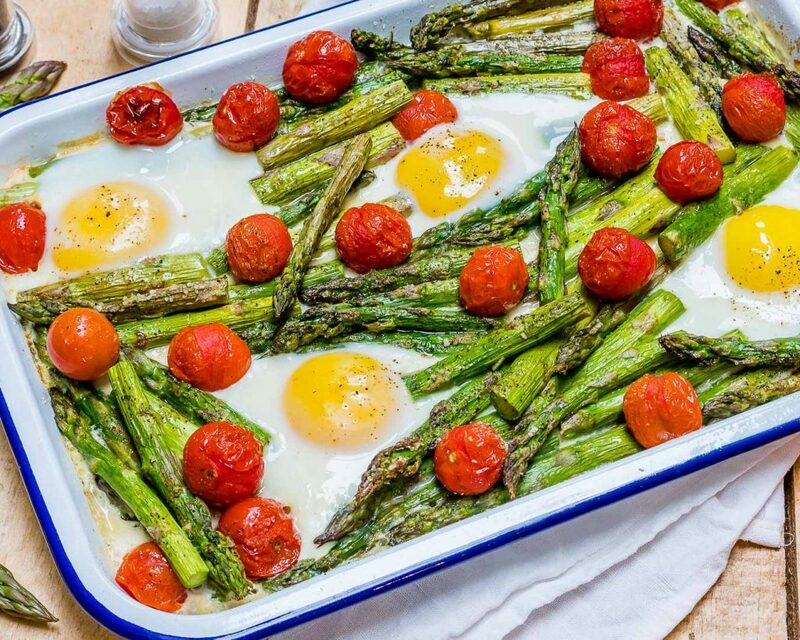 Clean Mornings: Roasted Tomato + Asparagus Egg Breakfast Bake! 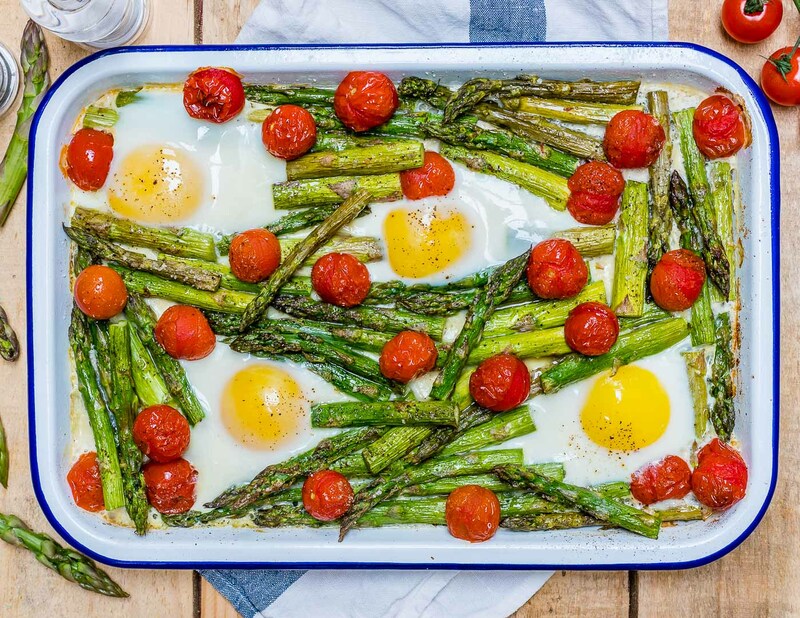 Toss asparagus and tomatoes with oil in a shallow, rimmed baking sheet just large enough to hold vegetables in a single layer, without overlapping. 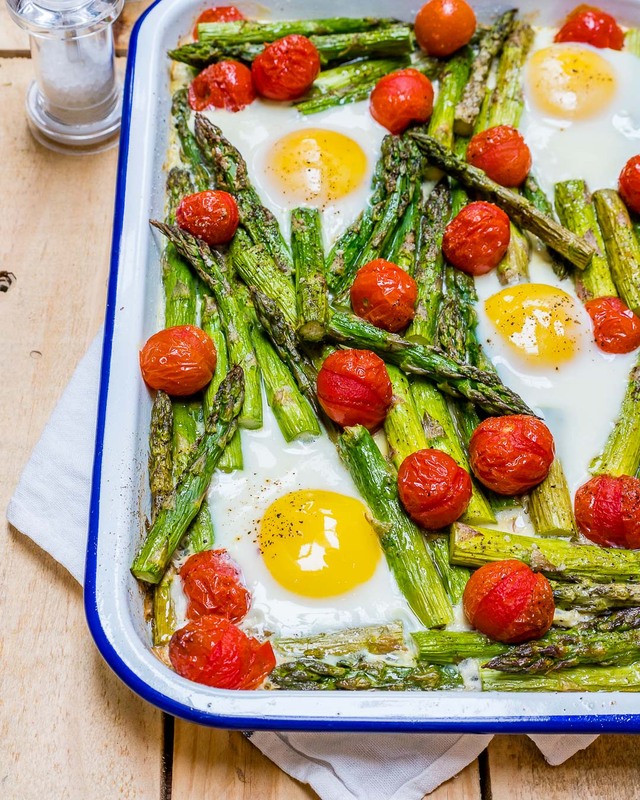 Roast veggies for about 10 minutes, until asparagus is just crisp-tender and tomatoes have wilted. 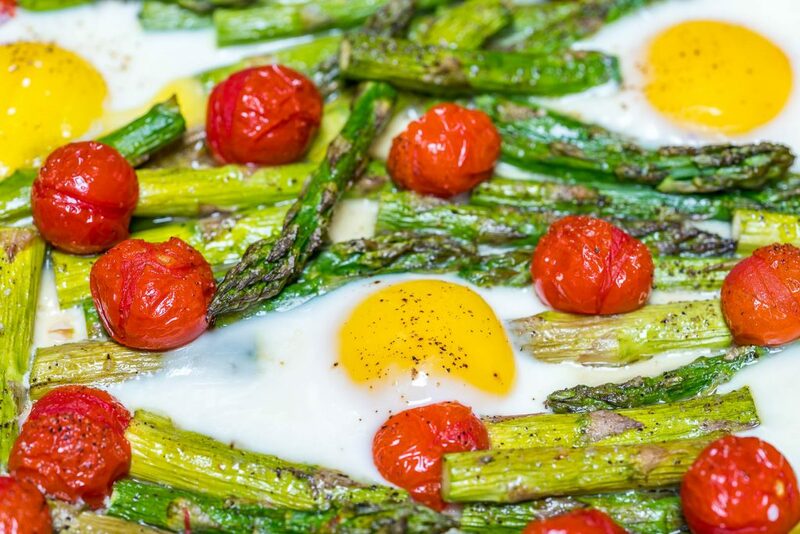 Very gently crack eggs over asparagus mixture. 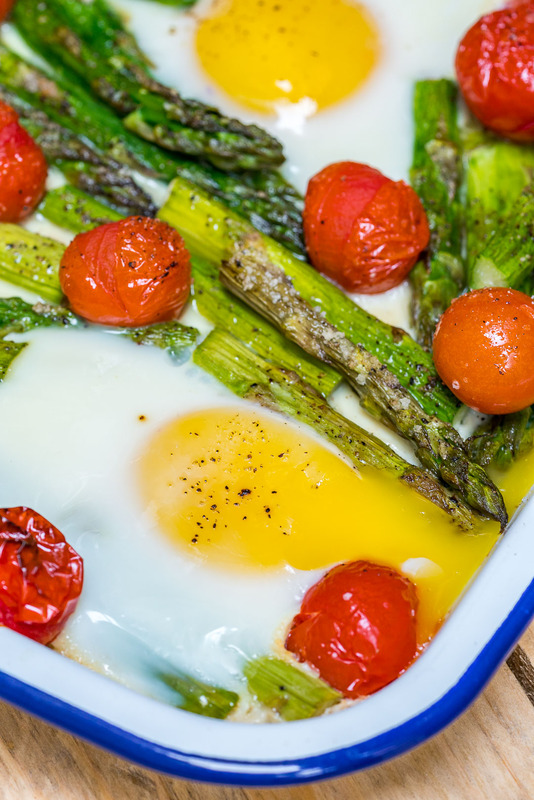 Return to oven and roast until egg whites are just set, and yolks are to your liking; about 5-7 minutes. Season with sea salt and fresh ground pepper and enjoy.